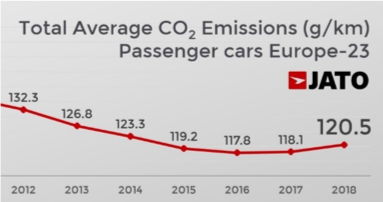 Average CO2 emissions across Europe reached their highest level since 2014 at 120.5g/km last year as car buyers switched wholesale from diesel to petrol following changes in tax and pollution laws. 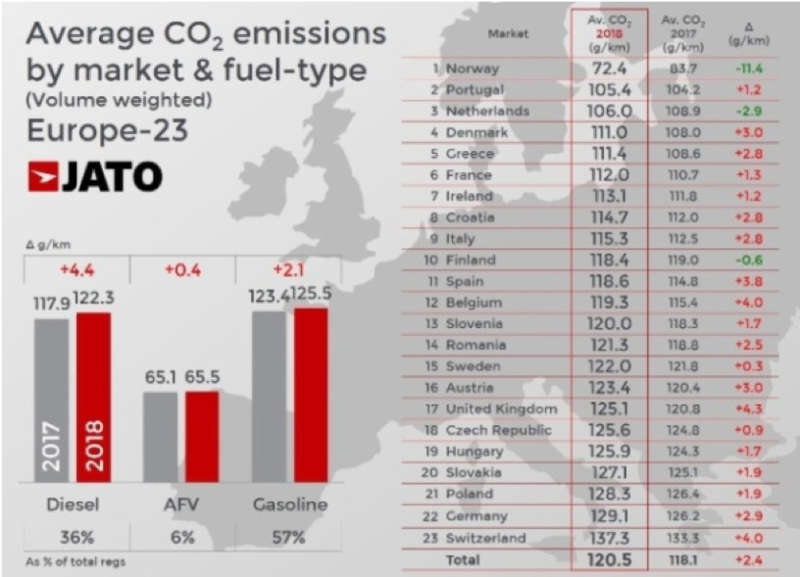 Analysis from automotive intelligence provider, JATO Dynamics, based on results from 23 countries across Europe, found that CO2 emissions had been steadily reducing year-on-year, reaching a low of 117.8g/km in 2016. However, the trend was reversed in 2017 following a fall in demand for diesel cars. As a result, average CO2 emissions across Europe increased to 118.1g/km in 2017 and 120.5g/km last year. He went on: “The total value of CO2 emissions was on a steady decline from 2007, but started to slowdown in 2016 as the fall reduced from -4.1g/km in 2015 to -1.4g/km. “At the same time, the sales growth of diesel cars fell from an increase of 7% to just 1%. This trend was confirmed in 2017 with the first average C02 emission increase in years of 0.3g/km, and an 8% drop in demand for diesel cars. 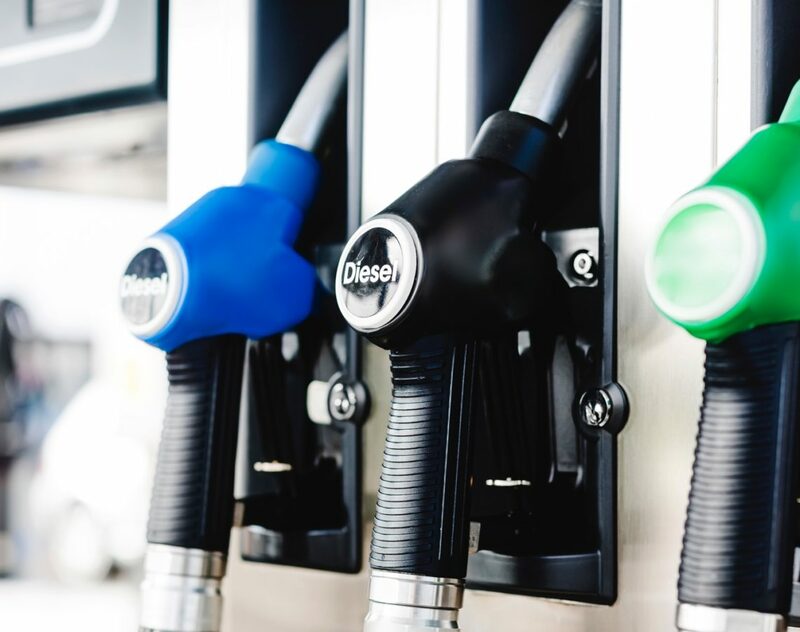 “Last year saw an even greater variation between demand for diesel, which fell by 18% and an increase in C02 emissions which increased by 2.4g/km. “The positive effect of diesel cars on emissions has faded away as their demand has dropped dramatically during the last year. If this trend continues and the adoption of alternative fuelled vehicles doesn’t accelerate, the industry will need to take more drastic measures in order to meet the short- term targets,” he added. Although the demise of diesel has certainly had an impact on emissions, it wasn’t the sole cause. The arrival of new SUVs last year, including the launch of 16 new models, paired with an increase in demand for this type of car has also contributed to the overall increase of average CO2 emissions in Europe. The average emissions for SUVs worsened by 1.4g/km, with the SUV segment accounting for 35% of passenger car registrations last year – the only segment to post a positive change in 2018. SUVs were the fourth highest in terms of average CO2 emissions and were only surpassed by small volume segments such as sport cars, luxury sedans and vans. By contrast, the lowest emission segments, city-cars and subcompacts, posted a decline in registrations of 1.5%. In other words, consumers in Europe are opting for vehicles with the highest emissions, so the industry’s growth is taking place at the expense of higher emissions, said JATO. JATO found that the correlation between the decline in demand for diesel cars and the increase in CO2 emissions was most evident when analysing the data by country. Only three countries saw improvements in CO2 emissions in 2018: Norway, Netherlands and Finland. In Norway, the growing popularity of electric and hybrid cars, which now have a 57% market share, was large enough to absorb the drop posted by diesel cars, sales of which fell by 28%. In the Netherlands, the improvement was due to an increase in demand for Alternative Fuel Vehicles, which increased by 74% and counted for 11% of the total market. However, the Dutch market was also strongly dependent on gasoline cars, which made up 76% of the market. The worst performance was seen in the UK, which carried out one of the most aggressive campaigns against diesel and where CO2 emissions rose by 4.3g/km average last year. Germany, Europe’s largest market, also posted a 2.9g/km increase in CO2 emissions.